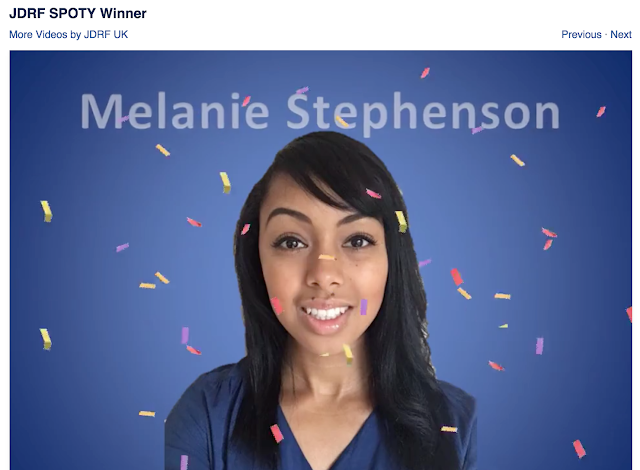 JDRF UK Sports Personality Of The Year Winner! | Life, Sport and Diabetes - An everyday look at my life with type 1 diabetes. JDRF UK Sports Personality Of The Year Winner! 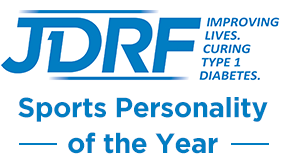 I'm so thrilled to announce that I am the winner of the JDRF UK Sports Personality of the Year nomination by public vote. I'm really grateful to every single person that took the time to vote for me and I was overwhelmed and humbled by the kindness of the comments that people left. As I mentioned in my previous post, I was up against some inspirational competition with the professional athletes that were also nominated. And am so pleased that there are other people out there managing their type 1 diabetes alongside doing sport and I hope that this encourages everyone to get involved in doing what they enjoy. Be it sport or anything else, having diabetes shouldn't stop you doing anything! If you'd like to hear what else I had to say about the achievement then please head over to my YouTube channel for the full video!